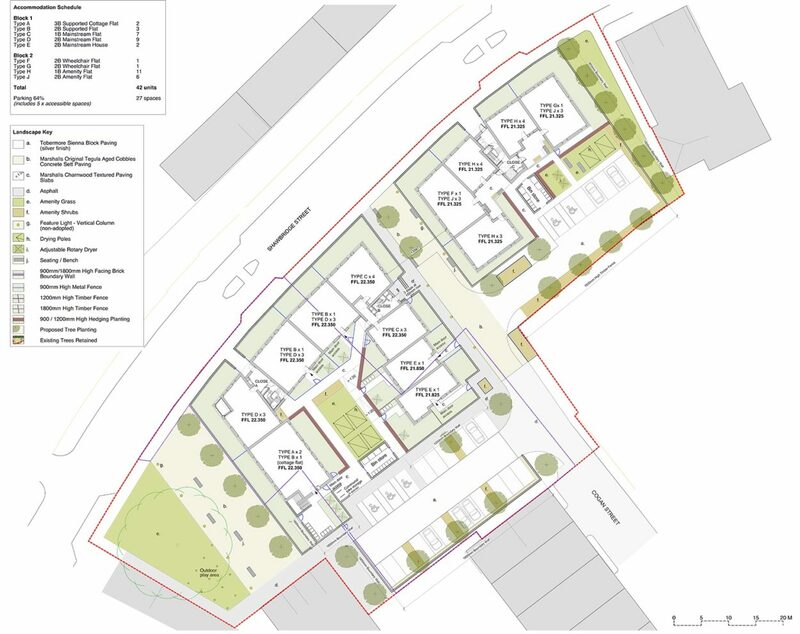 Collective Architecture are delighted to announce our proposal for Loretto Housing Association is now on site. 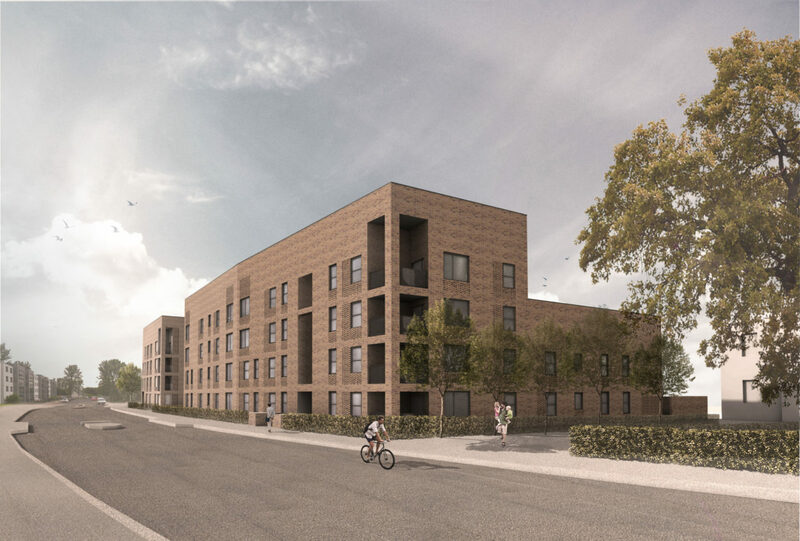 The new residential development on the site formerly occupied by high-rise flats in Shawbridge Street, Pollokshaws will provide a mix of social housing comprising of supported, amenity and mainstream accommodation. To reduce the apparent massing, the historic street line connecting Cogan Street to Shawbridge Street has been reinstated and flats have been arranged within 2 separate blocks. Whilst responding to site constraints, this helps to break up the density of the facade, creating interest on each of the four corners along Shawbridge Street. Cranks in the blocks allow the building to subtly follow the curvature of the street, creating further interest and helping to animate the streetscape whilst responding to its specific locale. To capitalise on the southerly aspect to the rear of the development, and to reflect the massing of the adjacent category B listed Parish Church, a step in massing has been introduced as the blocks return to form an edge to the public square in which the church is located. To address the public square in front of the Parish Church, which is to be redeveloped as part of the proposals, the block which faces on to the square has been designed with a strong open corner. Recessed balconies on the lower floors have been introduced to help reduce the apparent 4 storey massing at the corner, taking advantage of the south facing aspect and offering private amenity spaces for residents. The elevation design has progressed through a series of studies that focused on creating strong blocks with carved out terraces, balconies and close entrances. Developed in layers, the fenestration pattern is organised in a playful grid pattern, avoiding formal symmetries. Deep reveals and brick detailing help to accentuate the layered facade and enhance the sculptural design approach.